What is Bach Flower Therapy and How Can It Benefit You? Bach flowers remedies/essences originate back to the 1930’s and were discovered by British physician and bacteriologist Dr. Edward Bach. In his pursue to treat the person rather than the disease, he researched and discovered 38 flower remedies to address and remove the emotional roots that give rise to physical manifestations of disease. The mind-body connection was of utmost importance in his treatment approach. In essence his belief was that the physical symptoms and discomforts are always preceded by emotional imbalances and worries. This belief very much resonates with what we see today as the root of different diseases. Studies after studies have linked different stress factors and traumas as the origin to many diseases. For instance, irritable bowel disease is strongly linked to anxiety and stress and often when these emotional disturbances have been treated, the disease itself also dissipates. 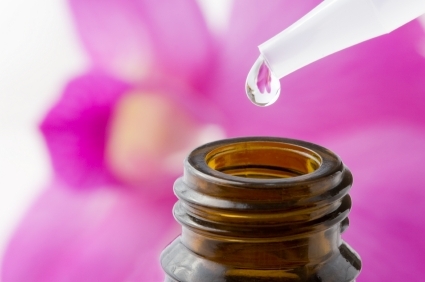 How do Bach flower remedies work? The remedies are made from infusion of different wild flowers and plants. These essences help to restore the balance in the system and treat the individual on a holistic level. They gently remove negative emotional patterns and feelings of fear, worry, anxiety and sadness. This allows the body to revert to its natural state of peace and stillness which allows the body to heal itself of any physical symptoms/dis-ease. No. The effectiveness of Bach flower therapy has been seen in both animals and children who are not susceptible to placebo effect. What conditions would benefit from Bach flower therapy? Both physical and emotional conditions would benefit from flower essences. Bach flower remedies are prescribed based on emotional disharmonies which often manifest as physical conditions. When these emotional states are harmonized, the physical components also heal. Some of the conditions treated with this therapy include anxiety, insomnia, depression, irritable bowel syndrome, headache, panic attack, menstrual problems, chronic fatigue and more. How do I know which Bach flower remedy is right for me? The remedies are chosen based on your current emotional state as well as temperament and personality traits. Each remedy is specific to a pattern emotions and personality characteristics; making Bach flower therapy a very individualized treatment. The correct remedy is determined through a consultation with a naturopathic doctor/other health care provider that is trained in prescribing Bach flower remedies. Do Bach flower remedies have any side effects? The remedies are gentle and safe for adults, children and pregnant women. In fact, Bach flowers work very well for pregnant women who experience any irritability, mood changes, or tension during their pregnancy or have anxiety and worrying around birthing. And since many herbs are contraindicated during pregnancy, Bach flower remedies are one of the treatments of choice during this time.